The Green Group goes orange ... again! 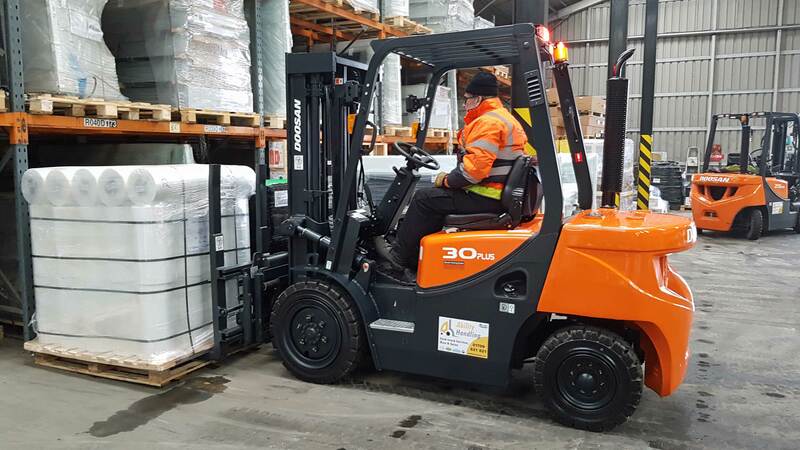 Leading Rotherham based transport and distribution company The Green Group has once again chosen Doosan forklift trucks for use at its Maltby distribution centre. 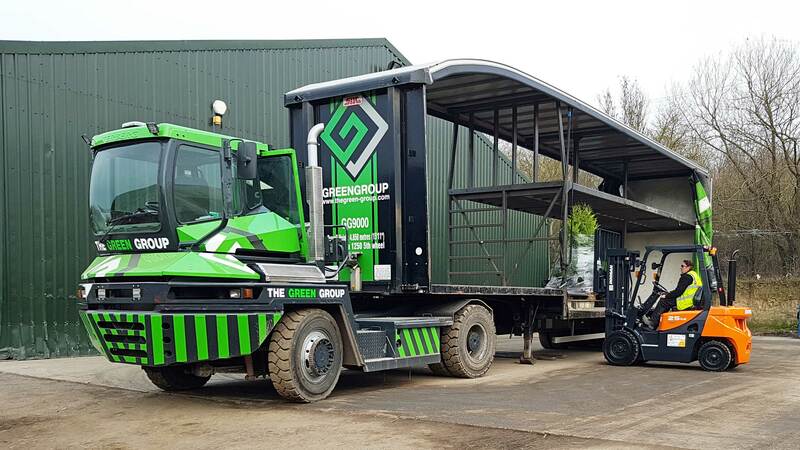 The latest two machines supplied are 2.5 and 3.0 capacity GX PLUS models with the larger of the two trucks fitted with a double pallet handler. Quick delivery was essential and with Ability Handling holding these models in stock we were able to deliver the first machine to site within just a few days of the order being placed. The second truck was delivered just a few weeks later once the attachment had been installed at our workshops. The Doosan GX PLUS is a range of fully featured machines in the popular 2.5 and 3.0 capacities and fitted with a clearview triple mast as standard. All models feature a modern low emission engine, enhanced safety features and improved driver comfort. It retains the rugged, reliable construction Doosan are renowned for and still relies on excessive ballast for stability rather than electronic overrides. These are the second batch of Doosan machines purchased by The Green Group at Rotherham since it was established in 2008. 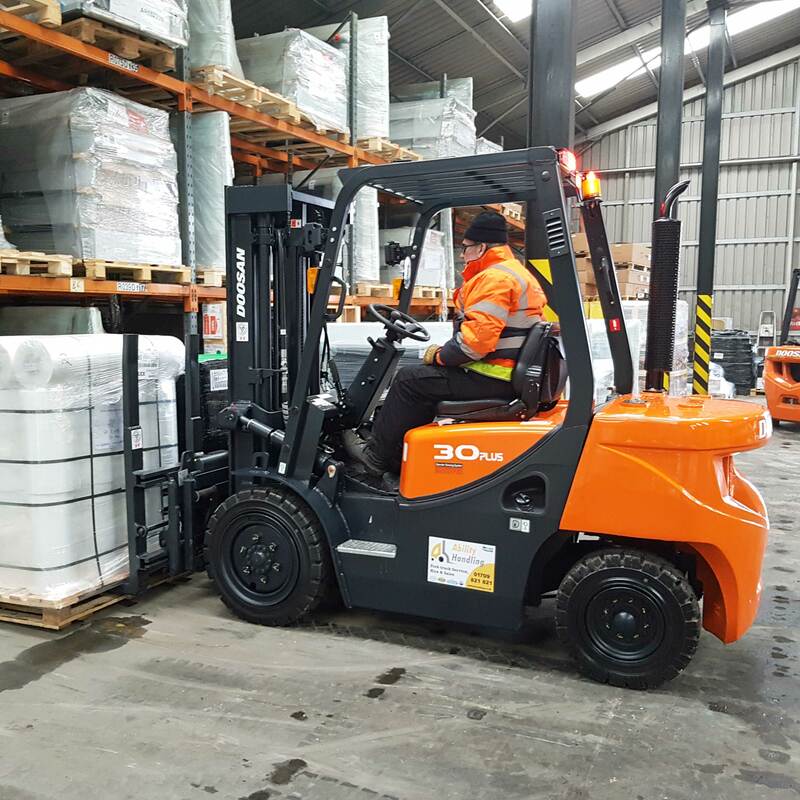 Head of Logistics Jim Ridley was delighted his new machines and took the time to email us to thank us "for the fantastic service in delivering my new D25 FLT, I am very impressed at the speed and professional service you have supplied". If you are looking for reliable trucks and great service at the right price then contact Ability Handling today!